Dies ist die englische Version des Interviews. Besucht für den deutschen Artikel bitte diese Seite. At Gamescom 2015 we had the chance to sit down with the Square Enix Merchandise Division. 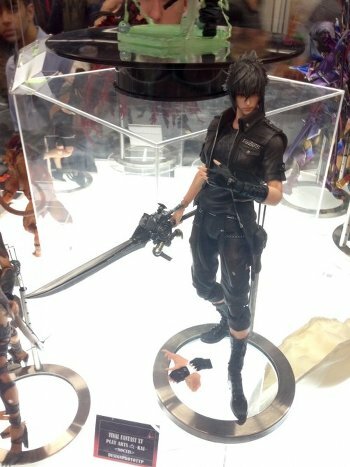 As you may remember, Gamescom was the first event where the Play Arts Noctis figure from Final Fantasy XV was displayed in public so you could have a closer look at the prototype. When are the Play Arts Final Fantasy XV products hitting shelves and how does development of such highly detailed figures look like? 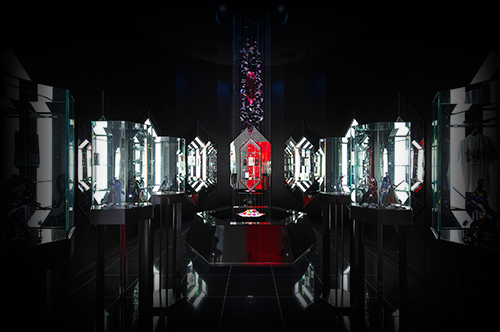 What is next for the Merchandise Division and will we see local stores like the Artnia in Tokyo elsewhere worldwide? Find out more in our interview below. Nova Crystallis: Please introduce yourself to our readers. Hirokuni Matsuyama: I am Hirokuni Matsuyama, the Senior Manager of the Square Enix Merchandise Division. Nova Crystallis: Please tell us something about the history of the Square Enix Merchandise division. Hirokuni Matsuyama: Square and Enix were merged to Square Enix in 2004. Enix, as well as Square both had a merchandise division and in 2004 we merged and became one division. This is now more than 10 years ago. As for our strategy, our vision was a global business. We opened an US and European Square Enix office and opened offices for the Square Enix Merchandise Division there, too. That is the background of our division. Nova Crystallis: I follow your products via the official website, but also on Facebook and Twitter. I see many new merchandise products coming, so I wondered roughly how many people are working at your division. Hirokuni Matsuyama: It is very difficult to give you the exact amount of our staff members. Of course, we are quite a small department and much smaller than the game section, as you can imagine. Nova Crystallis: You offer a big variety of merchandise. 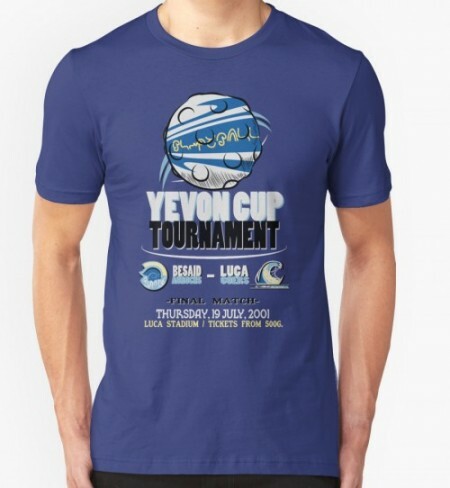 There is music, t-shirts, wallscrolls, plush toys or accessories, for example. But I think the most popular and most famous products are your Play Arts figurines. 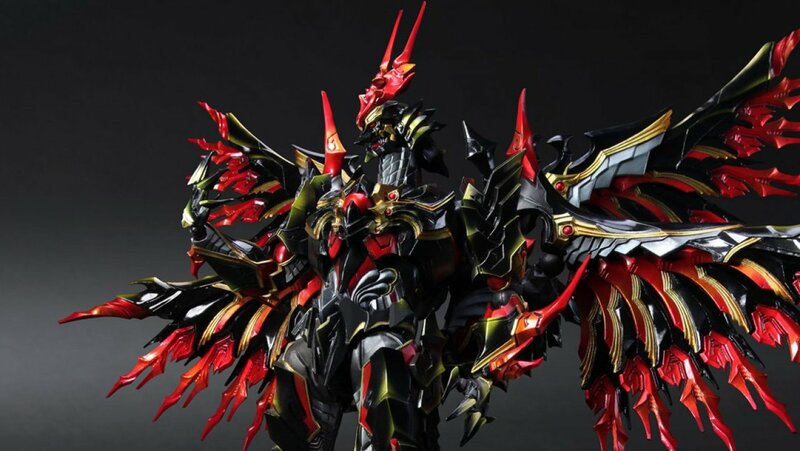 What is the idea behind the Play Arts, Play Arts Kai and Play Arts Kai Variant collections? Hirokuni Matsuyama: First we released the Play Arts, then the Play Arts Kai and Variant Play Arts Kai collection and It’s kind of an advancement over the time. We are a video game company and when we plan a figure, we want to express action scenes. That’s why we want to produce action figures. On the other hand, the development of action figures takes a long time, the costs are quite high and the production is quite difficult. That’s why we spend over a year to develop a single item. It doesn’t take just three or four months. Nova Crystallis: When you design a new Play Arts Kai figurine, what kinds of professions are involved (e.g. character designers, 3d artists, modelers, sculptors)? Hirokuni Matsuyama: Of course we can’t disclose any detail on this. When you develop action figures, first of all we need someone to create a prototype. For that we have sculptors. Then we need to think of the mass production with die cast mould. It’s difficult to use automation, so it needs to be done by someone’s hand. Nova Crystallis: How about the steps before the prototype? Imagine you do another Cloud figurine. Do you have certain concept artists or 3D artists, who work on the original design from the game and alter it for the figure design or do you directly work with the source material and make a prototype of it? Hirokuni Matsuyama: We do both sometimes and it depends on the situation. We always have to approve our process by an artist or producer. 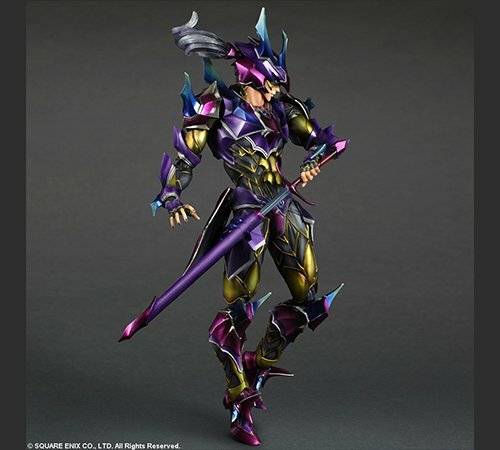 Nova Crystallis: If you could improve one thing about the Play Arts Kai line – what would it be? Hirokuni Matsuyama: For us it’s important that the Play Arts Kai figures can pose like in important or memorable scene from video games. To achieve this, the articulation is the most important aspect. The joints and its movement has to be realistic and we take a close look at how the shoulders move, for example. We currently produce the best solutions we can think of, but probably in half a year we step up to another level and discover something new. 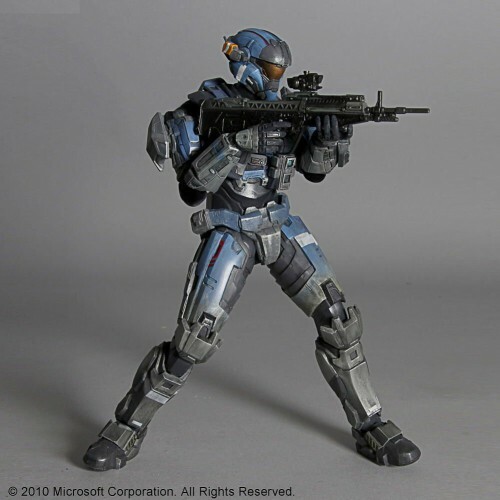 For example if the figure has to hold a gun like in real life, it’s limited by the joints we had. So we added a second joint at the shoulder, so they can hold and aim with a weapon in a more realistic pose. We won’t use this joint for every future figure, but for those who need to carry guns. Nova Crystallis: The online shops for the Japan, Hongkong, USA and Europe are a very convenient way to buy your merchandise goods. Despite that, the Artnia shop in Tokyo and the closed one before it are a huge attraction for many international Square Enix fans. It’s like a pilgrimage for them. Are there any plans to open such a shop in the Western territories in cities like New York or London e.g.? Hirokuni Matsuyama: Since we opened the Artnia shop two years ago, we are still improving it and adding things. Maybe the next step could be to open more shops and it may be a Western shop, but I can’t really say when. Nova Crystallis: How do you decide in which country an item will be released? Why are several merchandise goods still Japan only? Hirokuni Matsuyama: The character goods business has a certain regional trend. Some items just work for Japan, some items on the other hand work just in US or EU. We have a US team and a European team as you know. We discuss with the other teams what suits best for each region. If you go for example to the Animate shop in Akihabara or to comic shops in the US or UK, you may see some familiar items. So there are items we sell globally. But some items like straps for mobile phones are specific. Japanese people like to have straps on their mobile phones, but Americans or European usually don’t. They are not popular. 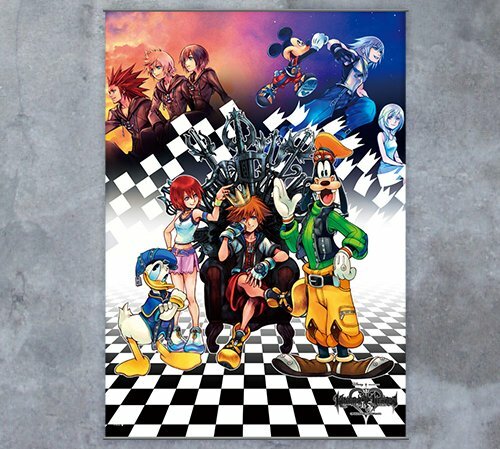 If you look at wallscrolls – those are very popular in Europe, but not in Japan for example. Japanese people prefer paper posters. Nova Crystallis: Can you give us a little overview about the products you are showing here at Gamescom? Hirokuni Matsuyama: For the first time ever, we show the Noctis Play Arts Kai to the public. And of course there is Fran, who is very popular as a Play Arts Kai figure, too. And of course, there are many items displayed, which you can buy at the booth. Please come and visit us there to have a look. Nova Crystallis: Currently we see a lot of Play Arts figurines for third party game or comic characters. For example, at Gamescom you show the new Iron Man Play Arts Variant figure or the Metal Gear Solid V Play Arts Kai Venom Snake Splitter Version as a Gamescom exclusive. Do you plan to return to your roots and offer figurines based on future iterations of your own games like Final Fantasy, Dragon Quest, Tomb Raider, Hitman or Deus Ex? Hirokuni Matsuyama: Basically we don’t make any difference between third party characters and our own ones, since we are putting the Play Arts Kai brand as our first priority. Merchandise good for Final Fantasy XV are also currently getting developed. So when this game is coming out or other new games from our company, you will see more new products. Please wait for them. Nova Crystallis: Good that you mention Final Fantasy XV. After your showing of the Noctis prototype here at Gamescom, we received many comments and tweets. People are asking when the figure comes out and some hope to buy it when they come on Saturday. I already told them that it’s just a prototype, but could you maybe give us a glimpse of information about when it’s coming? Will we see the figure alongside the game release, before that or maybe a little bit later? Do you plan to develop other Final Fantasy XV characters apart from Noctis? Hirokuni Matsuyama: In the character goods business the most important thing is to release on time. Sometimes, figure development is troublesome. Maybe the mass production of the diecast has a problem and then we experience a delay. We target the figure releases together with the game releases, but we can’t guarantee it for 100%. Nova Crystallis: So I would be right assuming that we will not see the Noctis Play Arts kai figure before the game’s launch or at Christmas 2015? Hirokuni Matsuyama: No, we don’t think that we will release it before the game’s release. Nova Crystallis: When I look at websites like Etsy, InsertCoin Clothing or DeviantArt, I see lots of apparel, posters and accessories inspired by your games. Do you think there is a demand for more products from these categories? Hirokuni Matsuyama: As you know, we already released some t-shirts and maybe expand our clothing line later. It can be a possibility. Our first priority is quality. Some of those sites are like piracy and besides a low price, the quality is low quite often. A low quality is exactly the opposite of our ideas. We have confidence that we expand the apparel in the future, so please wait for that. Nova Crystallis: Is there a chance to see a return of the Creatures, Master Arms or the Artifacts product line? I still remember the highly detailed, but very expensive Judge Master Gabranth Replica Helmet from Final Fantasy XII. Hirokuni Matsuyama: We can’t really promise to do that for XV this time, but we still have that kind of technique and development experience. At the moment, our development team is concentrating on advanced Play Arts Kai figures. It’s the same team that made the Gabranth Replica Helmet and the Master Arms. Maybe in the near future they want to make something special and we do it again. Nova Crystallis: Thank you very much for your time. Posted in Gamescom 2015, Headlines, Interviews, Square Enix. But sometimes, people don’t want to pay an arm and a leg to show their fandom for the sake of “quality”. I’d love to have a Nier, Kainé and Emil figure. Maybe a Devola and a Popola too.